I have an affection for cities in transition. I like when I visit a city for the first time and get an immediate sense that things are changing, that there is a blurring between what’s old and what’s new. Bishkek, Kyrgyzstan was one of those cities. 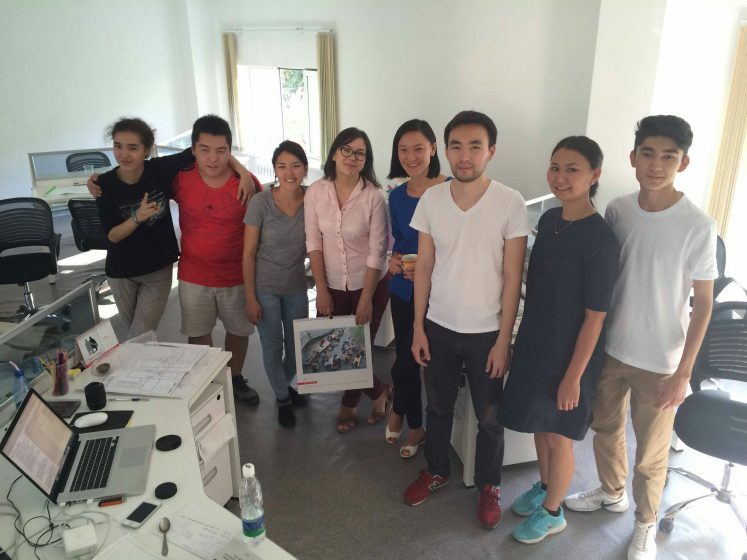 Raushanna Sarkeyeva, a Bishkek community organizer, is aiming to increase transparency of planning initiatives in his native city. When I first arrived in this Central Asian capital last spring to collect onward visas for our walking journey, an expat from the U.S. said something that stuck with me. 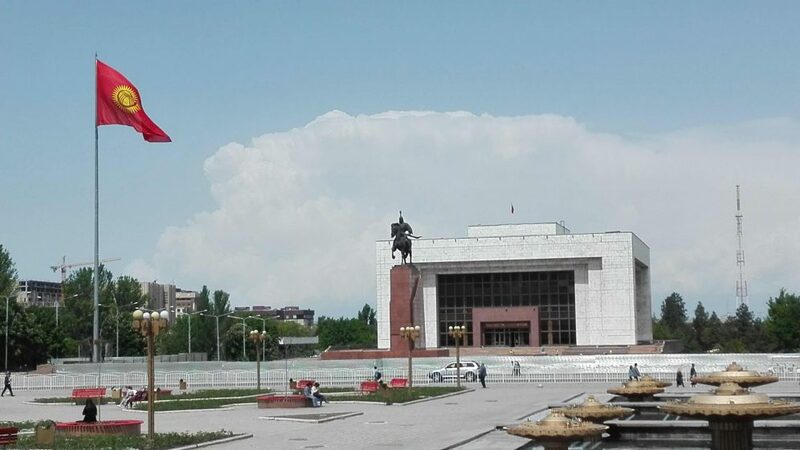 Bishkek, he said, and had been told by others who had lived in the city for many years, has “old bones,” meaning that the Soviets designed it well and its core urban planning concept was well conceived. 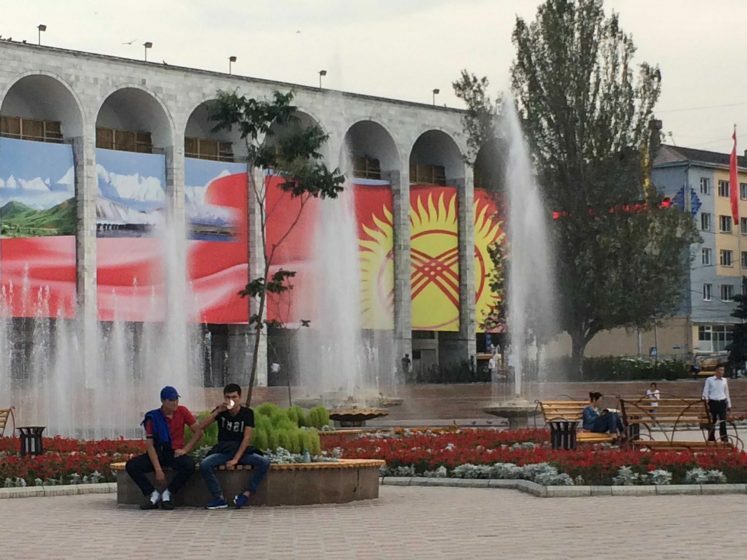 Today, Bishkek is trying to shake off its outdated image of utilitarian buildings and factories, and, as a result, there is mish-mosh of new things happening. There is a sense that it is still defining what it wants to be now, and what it will offer the world. For me, it’s a city of contrasts. It’s modernizing itself while holding on to traditional ways. There’s plenty of new construction underway, but quite a number of individual apartments look empty. There are fancy Lexus, Mercedes, and SUVs parked any which way alongside workhorse Russian Ladas. There are high-end coffee shops, big-box supermarkets, and brightly lit commercial centers next to mom and pop shops with mysteriously darkened windows and thick metal doors. Locals stroll through beautiful green pedestrian zones and well-manicured parks and then turn a corner and stumble over unpaved streets, broken sidewalks, and potholes. I was curious about this Central Asian city, so when I returned to Bishkek a few months back for another extended stopover along our route, I asked locals for an insider’s perspective. One person I spoke with—Bishkek native Raushanna Sarkeyeva, founder of the city’s Urban Initiatives Foundation and a former business analyst who previously worked and studied change management in the Netherlands—had some interesting things to say about city planning, urban development initiatives, and citizen advocacy. On a high level, creating a sense of ownership is one of the biggest challenges Bishkek urbanists are tackling. Faced with the hangover of a Soviet, top-down way of doing things, groups such as Sarkeyeva’s Urban Initiatives Foundation are encouraging people to participate in urban planning, to form tighter-knit communities, and to reclaim and take care of public spaces that are not well maintained by city agencies or that are being doled out to private developers. The group’s initial project focuses on working on a neighborhood level to renovate municipal libraries and encourage their use as open spaces where residents can meet and do more than borrow books. Other priorities include building a grassroots movement around urban development; reviewing near-term zoning plans and better matching planning ideas with the needs of citizens; and fostering more open dialog among all urban development stakeholders. Here are a few transcribed excerpts from our conversation (It has been edited for length). Jenn: What is the history of Bishkek? What was the Soviet-era vision for the city, and what are some of the development challenges the city now faces? Raushanna: Bishkek was a planned city, and was planned quite well in terms of urban design and the design of public spaces. It also went through a period of rapid growth after World War II, and there was a plan to build a new city with more social housing for people working in the plants and coming for here for different industrial enterprises. 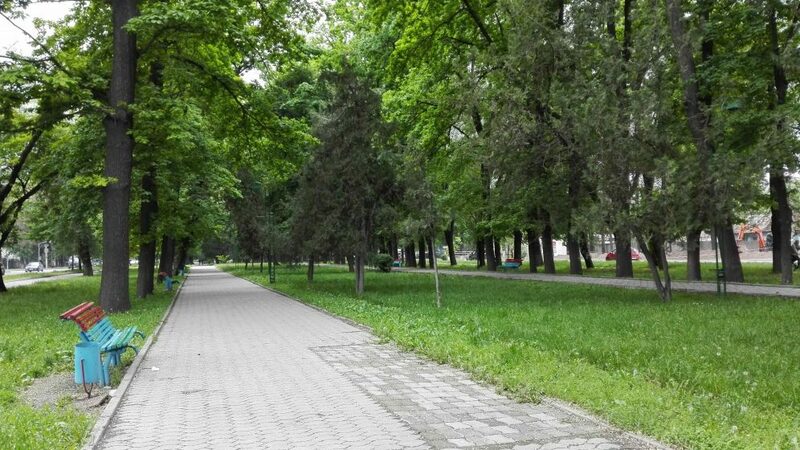 Then—20, 30 years ago, and we have this vision from people who have nostalgia—Bishkek was thought to be a green city. It was a friendly city, a livable city, a nice place to walk. Now, Bishkek is, I must say, still quite livable, when you look at other cities in the world. 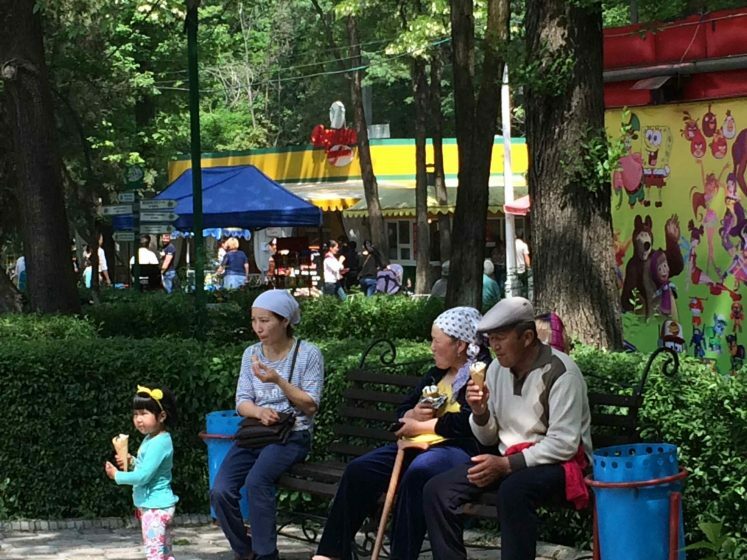 In Bishkek, you still have this idea of “human scale” that has stayed with the city. It’s a vibrant city with a good street design, and this environment creates personal contact and accessibility. The bad side of development that we now see is all these fences; they are everywhere. It’s for security, but it is also a sign of people saying, “This is my private ownership. I own this land. And, I don’t want to see people I don’t want to see right now.” … With all these fences, the city is becoming more closed on itself. Jenn: So the city is becoming more exclusive and less inclusive? Raushanna: Yes, there is that. And the interest in the private and public spaces is changing; that’s becoming more evident. Our public spaces are now in transition from being super planned…with wide avenues (a demonstration of Soviet power) and vibrant centers to now being lost to private development. To some degree, we also need it. It’s a good sign of investment and interest in Bishkek, and I believe entrepreneurs are one of the major actors in changing and improving the city. But we also have bad examples of the city losing public spaces to private developers. For example, green zones and public parks were given for construction of high-rise development. 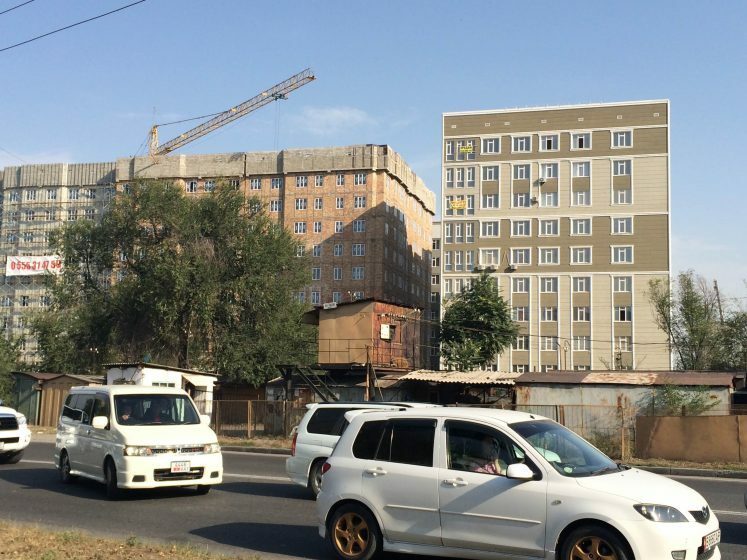 Jenn: I was surprised to see so many high-rise buildings under construction in Bishkek. It’s something I noticed right away. Is this coming at the price of sacrificing green spaces? How are zoning and planning regulations controlling this? 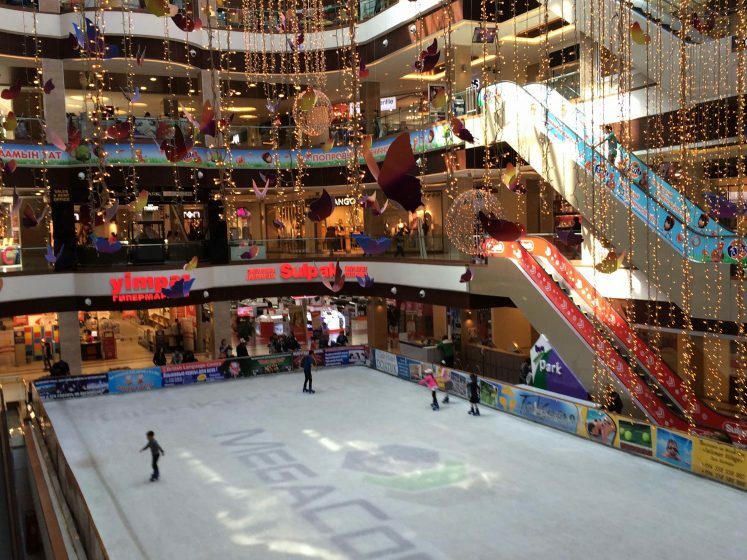 Is there a long-term city plan that balances development and open spaces? Raushanna: The urban planning side is an endless story. I could talk about this for hours! This is my third year doing this, and I’m still digging into this issue and trying to understand different problems, collisions, and conflicts in this field. Right now, we do have a so-called general plan that is like a master plan, but slightly different from how master plans in the West are understood. But, we do not have zoning, and that is a big problem we face. This is a paradox. There are 14 small and medium size towns in our country that do have zoning. They have legal zoning. This means they have a good base for transparency and for negotiating and integrating public and private interests. It’s also a key for local self-governance and for communities to express their priorities and defend its interests. In Bishkek, no; we don’t have this. You see too much commercial interest here, and the stakes are higher here in Bishkek. In 2005, the process to bring that here started but, under lots of excuses, it was closed. That said, the extent of civic engagement in our country, compared to other Central Asian countries, is higher. We have had good experiences with building democracy and defending our rights. But, surprisingly, in Bishkek, people—they do not have sense of ownership. That’s why, quite often, they are not using their right for information and their right to inquire about the quality of construction. They are not appealing to development or planning agencies, and the construction industry is generally quite closed and acting in its own interests. Our group is seeking out interviews with these developers and different stakeholders. In Bishkek, though, we do not have a powerful mechanism or tool that we can use to defend our rights. But, we do now have a few activists, who, for example, help citizens of high-rise buildings build a community and fight for their rights. One problem is that people find out about new development very late, after the developer has been granted permission to build. Usually only when the trees have been cut, an area demolished, a fence erected, and construction started does the public learn that there is new development happening. By then, it’s already too late to do anything. Jenn: There’s no notification process, no zoning board meetings where the public can comment, no interaction with the community? These projects are rubber-stamped with approval but the community doesn’t know about them? That’s a big issue to fix, isn’t it? Jenn: Is there an interest from the public to have this information? Raushanna: I think now it is emerging. Now, compared to what was happening in the public discourse five years ago, people are more aware, and yes, we have this interest. Jenn: It’s good to see that the idea of urban development is beginning to take hold and conversations are creating more awareness and involvement. How, then, does this link to the idea of creating Bishkek as a city of opportunity? How can you drive more accessibility and accountability in a sustainable way? What’s Bishkek’s biggest opportunity? Raushanna: One opportunity now is to work on the small and medium level, on the neighborhood level, and try to start something from the bottom up. But the biggest opportunity is for the people to build a cooperative city that works for the community, for the officials, for the entrepreneurs, for the academia. It’s an opportunity to learn how to work together for the common interest. It may also be our biggest challenge. But, if you have this multi-sided partnership, that could be a key to a lot of change. See more about the trip here. 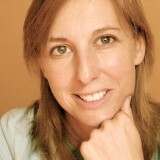 Jennifer Baljko is an avid traveler, longtime walker and a lifetime learner. She’s a city dweller who recently became a tree hugger (literally, she throws her arms around trees and hugs them), but feels at home almost anywhere.